Philippe Portier is a corporate finance/M&A partner. 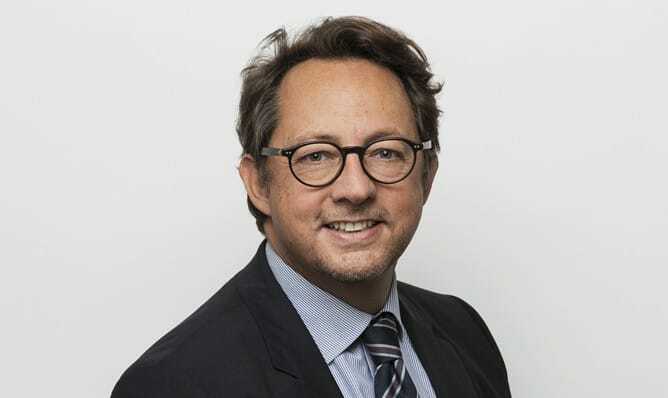 Philippe is in charge with the lobbying, public affairs and crisis management activities of the firm and he has been chairing the Association des Avocats Lobbyistes (Association of Lobbyist Lawyers) (AAL) since 2012. He is also a specialist in corporate governance, executives’ compensation (say on pay…) and compliance (anti-corruption and CSR corporate policies) matters. He has been actively participating in business-related reports of the leading French think tank, Institut Montaigne, since 2007. He is licensed to practice in Paris, New York and Luxembourg. Sale by the BPCE group of the Banque de la Réunion, Banque des Antilles Françaises and Banque de St Pierre Miquelon to CEPAC. Acquisition of TPS by Vivendi and Canal+. Creation of Canal+France (alliance between Vivendi, TF1, M6 and Lagardère). Sale of the Express-Expansion Group to Roularta. Restructuring of the Navimo-Plastimo group. Successive refinancings of La Vallée Village, the first French outlet village. Privatisation of the Compagnie des Alpes and subsequent market transactions. Various acquisitions by the Compagnie des Alpes: Grévin & Cie (Parc Astérix, Musée Grévin), Sofival (Val d’Isère), Deux Alpes Loisirs, etc. Loi Pacte : intérêt social, intérêt du groupe… Où en sommes-nous ?